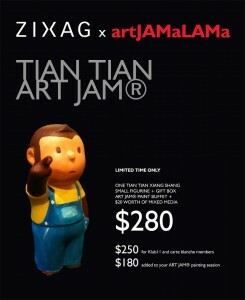 ZIXAG and artJAMaLAMa cross-over to bring you two ways to personalize a Tian Tian Xiang Shang 12cm ceramic figuring. TTXS represents have a positive outlook on the future. Send a feel-good message with your gift. Available as a gift set, you can create your own unique pair of Tian Tians at home. 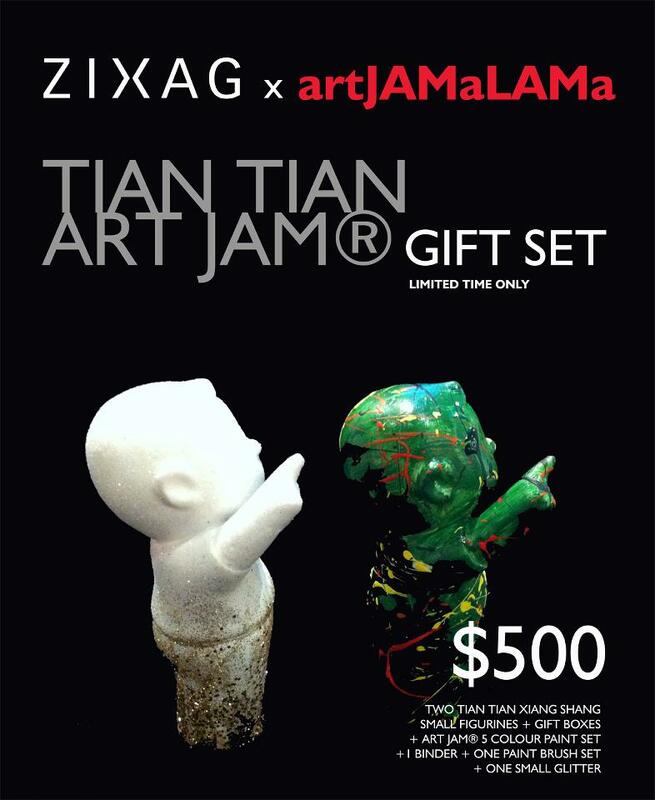 Tian Tian ART JAM ® Session at artJAMaLAMa is a limited time chance to design your own Tian Tian Xiang Sheng and create that special personal gift for a special someone. Now available a Tian Tian wet paint box for takeaway. If you have the time then you can just enjoy your Tian Tian ART JAM ® at artJAMaLAMa. We provide binder, free flow acrylic paint buffet and a specially designed wet paint box to takeaway your figurine at the end of the session. This iconic statuette also comes with a gift box to pack away little Tian Tian and give it to a special someone. This is a sweet little gift for a Christmas or birthdays. Large groups should pre-book Tian Tian ART JAM ® for parties at artJAMaLAMa or off-site events.